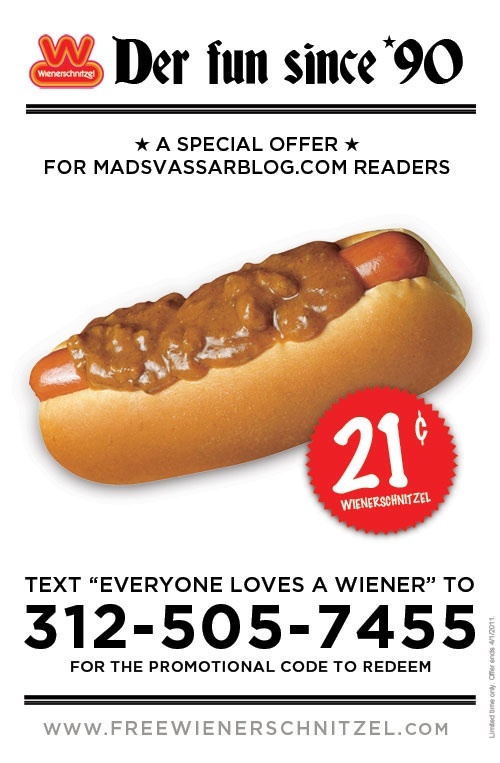 It turns out that the Wienerschnitzel prank from yesterday was actually intended to prank a reader even more than for Mads. We got a follow-up email from the prankster telling us that she is actually the sister of the alleged "student rep" and she wanted to prank her sister by putting her phone number up. "Her birthday is on April fools day and I make it a personal mission to pull an elaborate joke/ humiliate her each year," the prankster tells Mads.